Last October 31, TF donors Damian and Lisa Coory visited St. Francis of Assisi School of Silay City (SFAS) and met their scholar, CJ. The Coory's used to sponsor the Bactong brothers, CJ and Casey, when they were in grade school, as their mother taught in SFAS. The Bactong brothers transferred to another school when their mother left SFAS to teach in the public school. 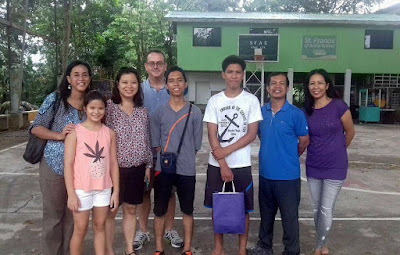 Their father joined the SFAS faculty last school year and upon CJ's request, he transferred back to SFAS as 10th grade scholar with the Coory's support once again. The Coory and the Bactong family with Ms. Micmic Golez, Executive Director of TF. Please visit our website, www.tapulanga.org to learn more about the our activities, news and events. 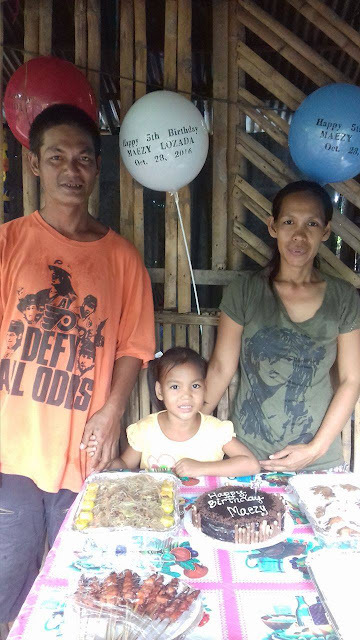 For the first time, Maezy, a TF scholar, was able to celebrate her 5th birthday with a cake and balloons last October 28, 2016. All from the generosity of her TF sponsor, Rina Yan. The family feasted with pork barbeque, sotanghon noodles with vegetables and fried chicken! And of course, she received dolls and a kitchen set as gifts. 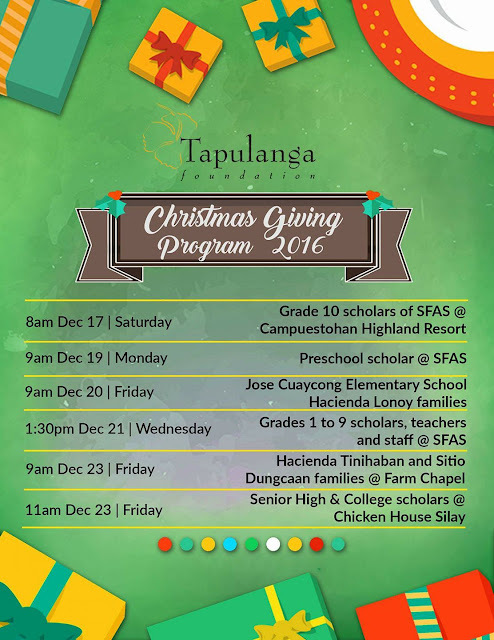 Tapulanga Foundation, Inc., has once again spread the love through the Christmas Giving Program to every scholars and the neighboring communities last December 2016. A week-long giving program started last December 17 as Grade 10 scholars were treated to a whole-day of fun at the Campuestohan Highland Resort in Talisay City. 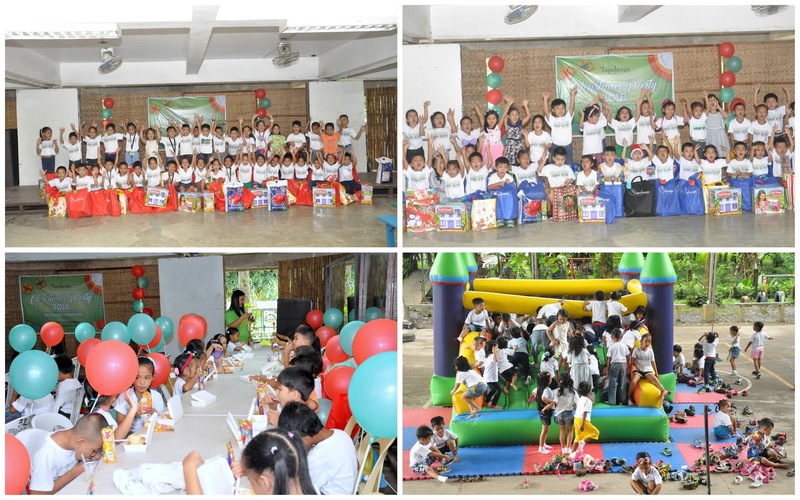 On December 19, the preschoolers had fun and received gifts from their respective sponsors at the SFAS Edgardo Ledesma Hall. They were treated to play to a pop-up balloon and snacks. The next day, December 20, the foundation went to Jose Cuaycong Elementary School and distributed gifts to more than 200 students and 8 teachers. 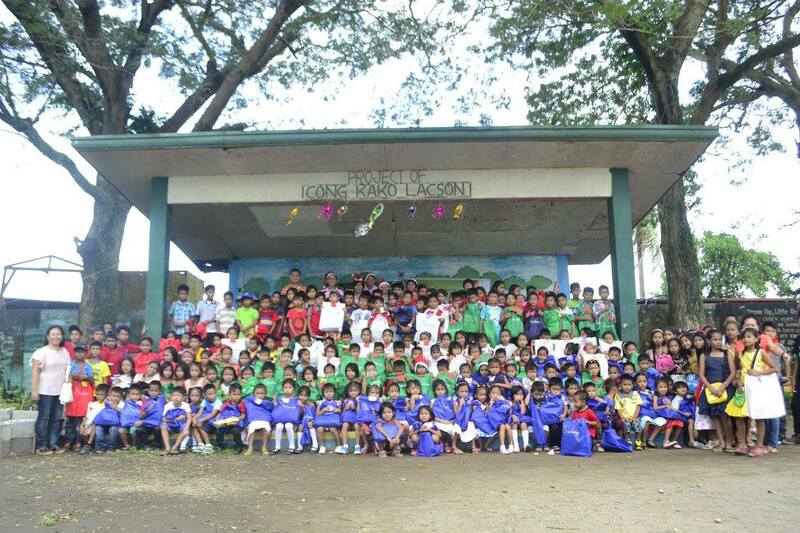 Each students got a toy and a noche buena pack. At the same day, about 70 Hda. 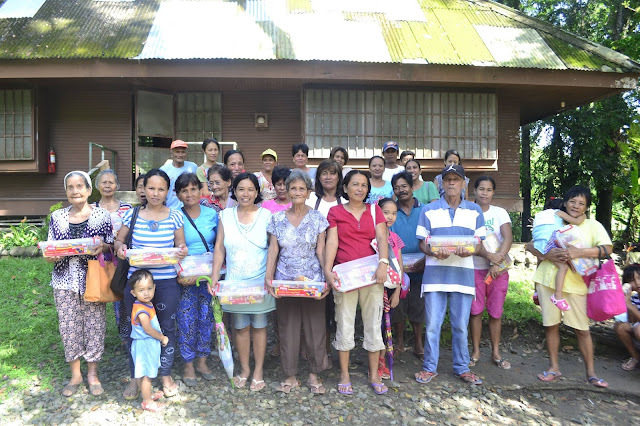 Lonoy residents also received their gift packs. 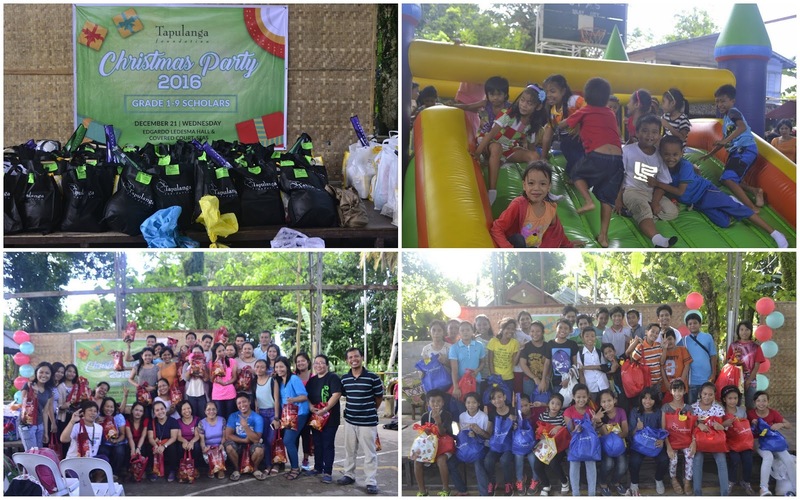 On December 21, the main event wherein the Grade 1 to Grade 9 scholars of St. Francis of Assisi School of Silay City gathered at the covered court and received their gifts, had fun and snacks. The grade 1 to 3 scholars were also treated to play to the pop up balloon while the grade 4 to 9 scholars got the chance to take home a photo bookmark from the photobooth by MetroClick. 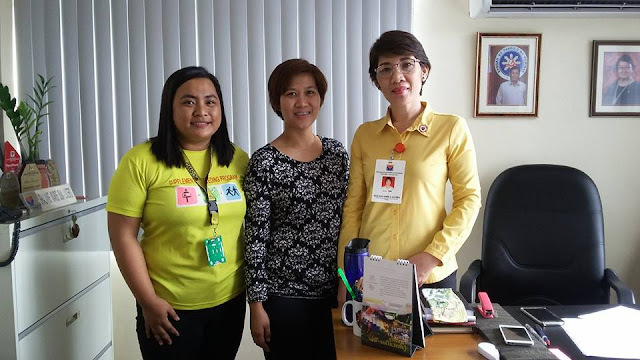 Faculty and staff of SFAS and Tapulanga Foundation also received gift packages with ham. 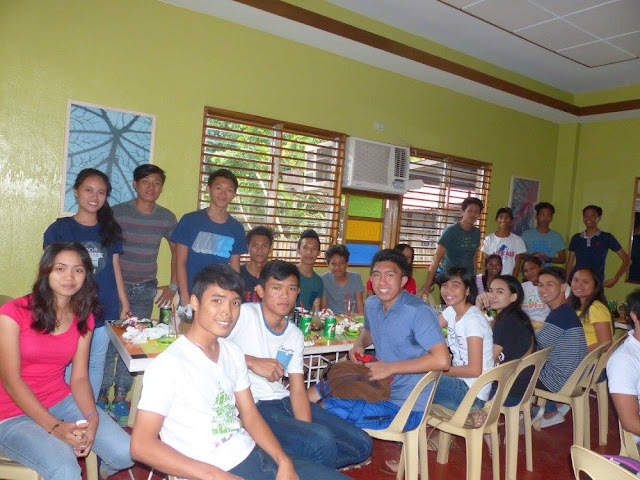 And on December 23, total of 21 College and Grade 11 scholars were treated to lunch at Chicken House Silay while Hda. Tinihaban recipients gathered at the Our Lady of Nativity Chapel, each received a spaghetti gift pack. View photos on the links below. Please visit our website, www.tapulanga.org to learn more about the Foundation's activities, news and events. 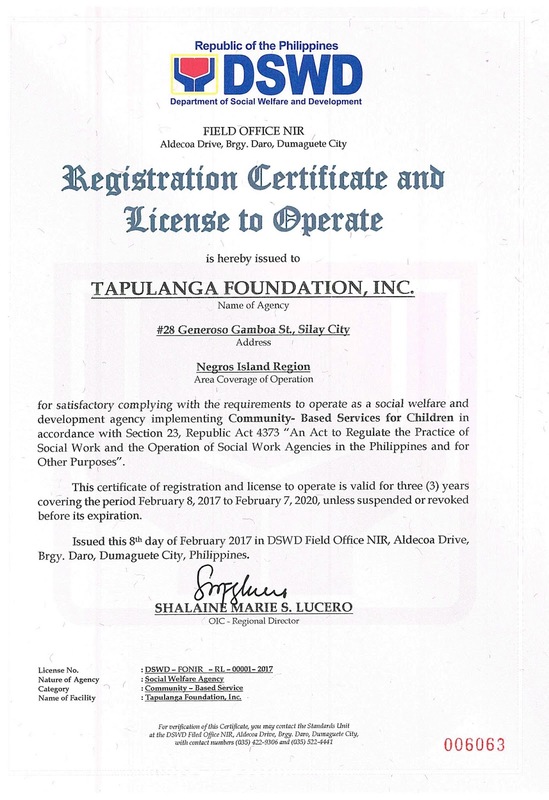 Tapulanga Foundation is now DSWD Accredited NGO! 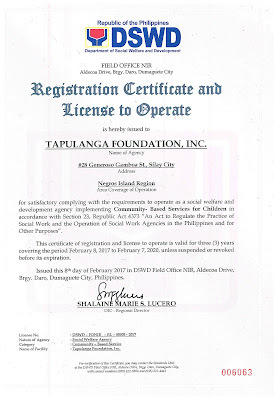 Last Janaury 9, 2017, Tapulanga Foundation, Inc. received its certificate of Registration and Licences to Operate from DSWD office in Brgy. Daro, Dumaguete City. Ms. Genalyn A. Nemes received the certificate. To God be the Glory!